It is important to note that Kant did not advocate the use of the press to incite rebellion or a total upheaval of the existing social structure; instead, Kant advocated gradualism, principally because he believed just changes would inevitably result from the institutionalization of free speech. While revolution can quickly eliminate despotic rulers or oppressive regimes, the society that emerges from a revolution is not enlightened because revolution “can never bring about the true reform of the way of thinking” since it only creates “new prejudices” that drive the still “thoughtless masses” (59). Gradualism, on the other hand, results in the evolution of society and societal values in a way that reflects a combination of the use of critical thinking, rational judgment, and the flexibility of mind that allows one to be persuaded by reasonable arguments. The reason for this is that good judgment consists not only of being able to think for oneself, but also of the ability to listen to others, to consider the opposing party’s point of view before reaching a conclusion or final decision. On a large scale, this persuasion is achieved by using the free press and, again, by publicly expressing one’s knowledge and opinions. In the decades and centuries since the publishing of this noteworthy article, the world has indeed seen a number of individuals who have dared to know and who have made public use of their knowledge in a manner that helped to shape a more just society. Near the middle of the twentieth century, one such individual gradually moved his way into the foreground of the public sphere as he took it upon himself to engage in issues that were of importance to him. Between 1942 and 1957, French existentialist philosopher Albert Camus, well known for both his dashing looks and his quick wit, published a number of essays and novels, among them The Myth of Sisyphus and The Stranger, in which he attempts to make sense of the absurd and finding meaning in a life devoid of meaning. While he was, at one point, better known for his philosophical works, today, as Adam Gopnik notes in a recent article for The New Yorker, “Camus is perhaps more memorable as a great journalist” — in other words, for his appearance and engagement in the public sphere and the free press. Although it cannot be said that Camus was a contemporary of Kant, his journalistic work easily earns him the title of a “scholar” by Kant’s standards. Always a journalist at heart, Camus found his niche in the public sphere. Throughout his career, he used his affiliation with the Algér républicain, Paris Soir, Le Monde, L’Express, Combat, and the publishing house Gallimard as a means to express his commitment — what Sartre would call engagement — opining on political matters in Algeria and France. In particular, he expressed his unique perspective regarding the then-ongoing conflict in Algeria and its status as a French colony. Specifically, he always rejected the idea of an independent Algeria, believing that in the mid-20th century nationalism of that sort was a thing of the past – a belief that continues to generate controversy even today (Leduc). Having grown up in Algeria as a pied-noir — the term given to mainland French citizens living in Algeria — of humble origins, Camus’ upbringing can explain a large part of his distinctive perspective on the Franco-Algerian struggle. Raised by an illiterate and deaf mother who cleaned the houses of wealthy French families, Camus’ childhood was not that of the typical affluent colonial. As he noted in a speech delivered in Algiers in 1956, during a return to Algeria on a diplomatic mission, he “knew and shared the misery that this country has not escaped,” but Algeria nonetheless remained a land of “happiness, energy, and creativity” for him (Algerian Chronicles Ch. 23). Thus, although Camus retained a great love for the Algerian landscape of his boyhood and fond memories of his youth throughout life, in adulthood his views on the Algerian conflict were inevitably shaped — at least in part — by the unforgettable image of his mother on her knees scrubbing floors. Having witnessed their struggles first hand, he could empathize with Algerian nationalists and their desire for self-determination and freedom from the French government. Indeed, he advocated for Muslim rights in Algeria and condemned racial violence towards Arab Algerians on behalf of French authorities. However, contrary to other leading intellectuals like Jean-Paul Sartre and Simone de Beauvoir, who supported the Algerian independence movement Front de Libération Nationale (FLN) “from the comfortable remove of their Paris cafés,” he could not bring himself to believe that all French colonials in Algeria were exploitive and parasitic (Messud). Moreover, he never fully embraced the idea of a fully independent Algeria. Journalism suited Camus far better than party activism. As a journalist, he could stand aside and help guide politics from an objective viewpoint. He could rally to the aid of the ‘average’ man and the weaker members of society, so often disenfranchised by the indifference and stupidity of politicians and the greed of the privileged (de Gramont 10). This behavior and apparent apathy towards “party activism” suits his commitment to the responsibilities of a journalist, who Camus calls a “historian of the moment” (Camus at Combat 24). A historian requires a certain degree of objectivity and neutrality, and this objective neutrality cannot exist if one’s views are hindered or restricted by the ideology of a political party. By the same token, Camus continues, it is the role of a good journalist to “take it upon himself to inform the public of the events of the day before” – but they must do so without allowing their reporting to devolve into a subjective recording that in someway obscures part of the truth (24). Camus did exactly this when he — idealistically in the opinion of some — called for an Algeria where French and Arab Algerians could reach a truce and co-exist peacefully. He consistently championed non-violence and dialogue as means of resolving conflict and in a series of articles for L’Express he denounced the “bloody marriage of terrorism and repression,” as well as the “hateful demagoguery in both camps” of the Algerian crisis (Algerian Chronicles, Ch. 22). His persistence in this advocacy, even in the face of taunting and criticism from contemporaries who accused him of being a “petit penseur poli” (small polite thinker) is a testament to his independent thinking and ethically, as opposed to politically, driven principles – and it made him the best kind of journalist (Leduc). “…I have chosen. 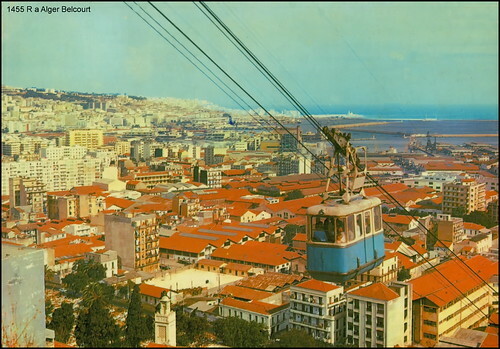 I have chosen a Just Algeria, where French and Arabs may associate freely. And I want Arab militants to preserve the justice of their cause by condemning the massacre of civilians, just as I want the French to protect their rights and their future by openly condemning the massacres of the repression” (Algerian Chronicles Ch. 21). In this sense Camus, and every other journalist who does their job well, serves as an enabler for the enlightenment of society as outlined by Kant: they think critically, report information objectively, share their views judiciously through a public medium, and inspire individual readers to do the same. In other words, they are scholars, a scholar being a respected expert, having more education and experience in a particular field than most people; very often he is a teacher as well. Similarly, it is the role of the journalist to provide “political and moral commentary on the news” because, just as it is essential to record the facts of day-to-day happenings for the sake of transcribing history, it is equally valuable to “record the daily thoughts of an informed observer” (Camus at Combat 33). This final tenant is arguably the most important because it is the aspect of journalism that most directly helps create constructive dialogue amongst the members of a society with a free public sphere. This is also the riskiest aspect, and it is often this aspect of public writing that is the recipient of censorship and ostracism, and the writers of these pieces that receive punishment for expressing their dissenting views when they do so in a political environment that is hostile to free expression. During the Nazi occupation of France, Camus’ writings for Combat, and the writings of journalists like him reporting for other clandestine publications, regularly placed him at risk for punishment, capture, or worse. In the immediate post-war period, the issue of colonialism in Algeria remained a priority for Camus, and even in the elated spirit of liberation he continued to be one of the only journalists of the time drawing attention to the matter. Notably, in a series of 1945 articles for Combat entitled “Crisis in Algeria,” Camus decries the deplorable living conditions of Arab Algerians and analyzes the deep injustices of colonialism. He reminds the French that “Algeria exists…that the Arab people also exist…that they aren’t the wretched, faceless mob in which Westerners see nothing worth respecting or defending…These people are not inferior except in regard to the conditions in which they must live, and we have as much to learn from them as they from us” (Camus at Combat 199-200). He warns metropolitan France that Algeria should not be forgotten even as France worked to rebuild itself and calls throughout the articles for immediate steps to ameliorate the social, political, and economic struggles of Arab Algerians. Regrettably, in this case, as when he reported on the miserable conditions in Kabylia for the Alger républicain in 1939, Camus’ “daily thoughts” on this matter went largely ignored. Nonetheless, in continuing with his writings and never shying away from controversy — even when he stood alone, as he so often did — Camus “dared to know” and acted with courage by doing so. This same daring and reservation prevailed in Camus’ work in the months immediately following Paris’ liberation in the fall of 1944, when Combat first emerged from being an underground newspaper and began to circulate openly. During this time period, Camus’ writings reflect his “public persona of optimism” and his hopes for the newly emerging French society (Orme 105). Namely, he declares in “From Resistance to Revolution” in August of 1944 his belief in his country’s ability to function as a democratic nation — a “true people’s and workers democracy” where “democracy will contribute the principles of freedom and the people will contribute the faith and courage without which freedom is nothing” (13). In Camus’ vision, French democracy should find a middle ground between American capitalism and Soviet Communism, which by this time he saw as “oppressive and dangerous” (Between Hell and Reason 29). This point marks the height of Camus’ faith in the potential of the French people, and it was through the press that he was able to express this optimism most effectively. Now that we have won the means to express ourselves, our responsibility to ourselves and to the country is paramount. It is essential that we recognize this…the task for each of us is to think carefully about what he wants to say and gradually to shape the sprit of his paper; it is to write carefully without ever losing sight of the urgent need to restore to the country its authoritative voice. If we see to it that that voice remains one of vigor rather than hatred, of proud objectivity and not rhetoric, of humanity rather than mediocrity, then much will be saved form ruin, and we will not have forfeited our right to the nation’s esteem (Camus at Combat 24). As seen here, even in moment of jubilation, when it would have been easy to allow himself to be carried away by emotion or the swift currents of idealism; he was never tempted by a naïve enthusiasm nor did his writing ever become demagogic. Rather, as Adam Gopnik notes, “responsibility, care, gradualness, humanity…these are the typical words of Camus.” In this manner, he shares Kant’s emphasis on gradualism as a means of achieving positive change in a society. In France, he believed that sensible dialogue was the best means through which the kind of democracy that he describes in “From Resistance to Revolution” could be achieved. In Algeria, he maintained that the solution to tensions between Arabs and French was for those “still capable of dialogue” to unite and “preach peace,” to rally behind a party based on the principles of “justice, a union of differences, and confidence in the possibility of the future” so that a just nation could be restored and “the party of truce would then become Algeria itself” (Algerian Chronicles Ch. 22). The special attention that he pays to maintaining a reasonable voice in any argument reflects his understanding of the importance of persuasion and the need for logical justifications for change as opposed to radical measures that do not bring about any real or lasting solutions to problems. This progressive attitude helps to explain why, as David Carroll points out, Camus (like Kant) believed that “the free press had an essential role to play in all democracies.” The function of the press in a democracy is “that of refusing to choose either of the sides in ideological conflicts and thus continuing to provide a forum for dialogue across the ideological divides” (Carroll, Camus at Combat xxii). In other words, the press is essential because it is a place for open discourse — a form of non-violent action — that can eventually result in an agreement, greater understanding, or a change of mind.It is by this sort of conversation that progress in a society is achieved, and this is why Camus asserts that “political censorship in any form” cannot be accepted by the press. A democracy is not a true democracy and the citizens of a free nation are not truly free if they do not have a public sphere in which to exchange opinions and ideas. Similarly, the citizens of a nation are not truly democratic if they are not open to listening to the opinions of others and allowing themselves to be persuaded because “a democrat is a person who admits that his adversary may be right…when parties and people are so convinced by their own arguments that they are willing to resort to violence to silence those who disagree with them, democracy no longer exists” (Camus at Combat 287). Camus wrote this in one of his final editorial pieces for Combat in 1947, when he had lost much of his initial optimism following France’s liberation with respect to society’s ability to evolve positively as a whole. However, in defining what a democrat– an individual democrat – should be, Camus appeals to the potential of individual citizens because, ultimately, he decided that “it was the individual…who represented society’s greatest hope” (de Gramont, Between Hell and Reason 34). This can be reconciled with Kant’s view of the role of the individual in a society and his emphasis on the importance of the individual and the independent use of reason. When enough individuals begin to think critically and independently, throwing off the “yoke of immaturity”, what eventually results is a society of scholars. This is the vision that Kant and Camus share. In the end, Camus did not live to witness this enlightened society for which he so fervently aspired. He dreamed that a rational and democratic society could emerge from the ashes of a war-torn nation following the liberation of France. He knew, however (or eventually came to understand) that such an ideal society could not reasonably exist because society is not always reasonable. As a scholar, he did his best to reconcile the discrepancy between his vision and reality by acting in the way that every citizen should: by exercising his freedom of expression and making public use of his knowledge and faculty of reasoning by means of the press. Today, in the year of his centenary, we remember him for this courage and this vision. Moreover, as Rafa Gassó notes, we remember him as a man who believed in and defended the right of every citizen to rise above the masses and claim their own freedom. He may not have been able to shape society as a whole, but he was able to shape himself as an individual, and in doing so he inspired his readers to do the same. That is the best that anybody could hope to do. Article by Sarah Leduc originally in French. For this and any other references, translation is my own unless otherwise noted. Bronner, Stephen E. Camus: Portrait of a Moralist. Minneapolis: University of Minnesota Press, 1999. Print. Camus, Albert. Algerian Chronicles. Ed. Alice Kaplan. Trans. Arthur Goldhammer. 1958. Cambridge: The Belknap Press of Harvard University Press, 2013. Kindle file. Camus, Albert. Between Hell and Reason: Albert Camus. Ed. and Trans. Alexandre de Gramont. Foreword by Elisabeth Young-Bruehl. Hanover and London: Wesleyan University Press, 1991. Print. Camus, Albert. Camus at Combat: Writing 1944-1947. Ed. Jacqueline Lévi-Valensi. Trans. Arthur Goldhammer. Foreword by David Carroll. Princeton and Oxford: Princeton University Press, 2006. Print. Gassó, Rafa. “Camus, el extranjero eterno.” El Mundo. Unidad Editorial Información General S.L.U, 06 Nov. 2013. Web. 4 Dec. 2013. Gopnik, Adam. “Why We Love Camus.” The New Yorker, 09 Apr. 2012: 70-76. Print. Kant, Immanuel. “An Answer to the Question: What Is Enlightenment?” Eighteenth-Century Questions and Twentieth-Century Answers. Ed. James Schmidt. Berkeley and Los Angeles: University of California Press, 1996. 58-63. Print. Leduc, Sarah. “Albert Camus, un centenaire très discret.” France 24. France 24, 7 Nov. 2013. Web. 4 Dec. 2013. Messud, Claire. “Camus and Algeria: The Moral Question.” The New York Review of Books. NYREV, Inc., 7 Nov. 2013. Web. 9 Dec. 2013. Orme, Mark. The Development of Albert Camus’s Concern for Social and Political Justice. Madison: Farleigh Dickinson University Press, 2007. Print.